Although it's not quite December yet, it has officially been declared the Christmas season. And, for your reading pleasure, it's time to start reviewing some Christmassy items. Trader Joe's has a ton of holiday-related items, and we've already reviewed a few crowd favorites like Candy Cane Joe-Joe's. Despite the fact that our scores might not always be in exact agreement with the general consensus, we do our best to be objective, even in cases where the product already has its own Facebook page. Now, most of the time, when our initial reaction to a product is negative, it stays that way. Occasionally, I have to downgrade my score just slightly from my initial reaction, as was the case with Trader Joe's Mexicaine Quiche. But with this product, both Sonia and I weren't feeling it at first, perhaps due to the fact that we had both just brushed our teeth. But it grew on us big time. Especially me. 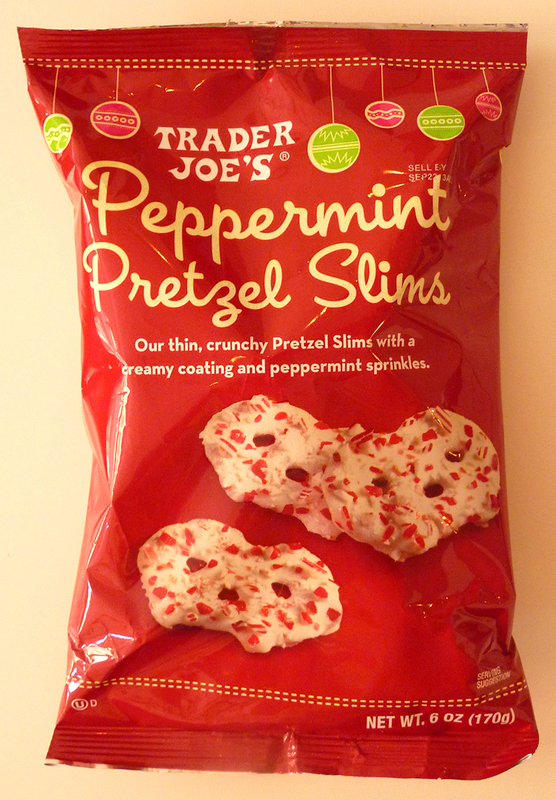 If you like pretzels and peppermint bark, you'll love these peppermint pretzel slims. They're like traditional peppermint bark, only saltier. If it's one thing that TJ's has taught us, it's that salty and sweet go great together. In this case, it's salty, sweet, and minty. The mint part is what threw us off initially. They're really minty. It's a candy cane extravaganza. I don't recommend using these snacks as an alternative to brushing your teeth, but after eating your first handful, you might feel like you could. And definitely don't eat them right after brushing your teeth with Crest Pro-Health Clinical Gum Protection Toothpaste - 4 / 5.8 oz. Your mouth goes numb, and then it's like those commercials where that gum makes an arctic wind come flying out of your face. I think it's Dentyne Ice Sugarless Gum, Peppermint Flavor, 12 Pieces/Pack, 12. 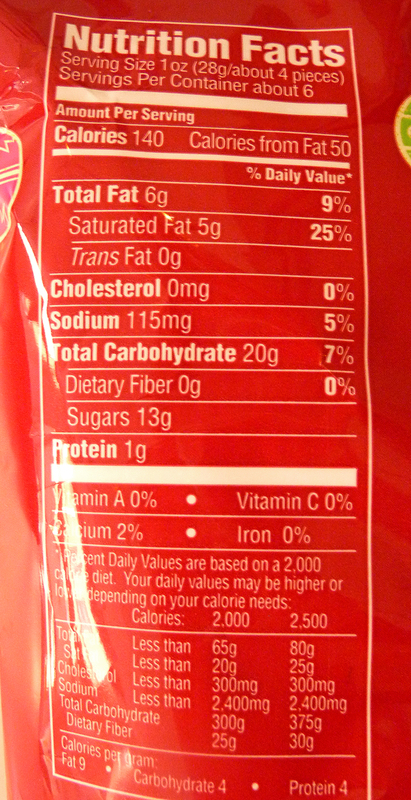 But after munching on these little peppermint guys throughout the day, I decided they were a really refreshing snack, and a nice break from regular chocolate-covered pretzels. 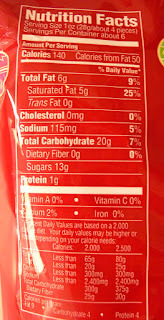 Also, the "slimness" of the pretzels caught us by surprise. Even though it's right there on the label. They're actually hard pretzels...but flat. Rather than tubular strands of crunchy, bready goodness, they're pressed flat—still in a pretzel shape, but smooth on one side, and very thin overall. It didn't affect the texture or taste of the product, and in a way, made it easier to shovel more into our mouths at one time, and that's a bonus for gluttons like us. Sonia's a fan. She wishes there were more in a bag. She gives them 4 stars out of 5. I agree with that assessment. 4 out of 5 from me too. 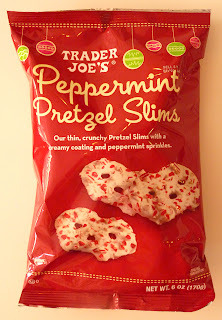 My husband really likes their plain slim pretzels, I don't think he's like these, but I bet I would!!! I actually interviewed at our local TJs yesterday! Good luck! If you get hired, put in a good word with "Big Joe" for us :). Got these today with my roommate! Let it be known they were half gone by the time we got home. We also picked up the butterscotch caramel balls and peppermint hot chocolate!!! Thanks for the recommendation! You're welcome, Rachel! How were the caramel balls and peppermint hot chocolate? ?